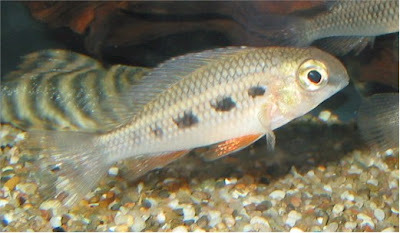 The Hercules Cichlid or Crenicara punctulata shouldn't really be named after Hercules since it is known to hide in corners and dark places when in an aquarium setting. 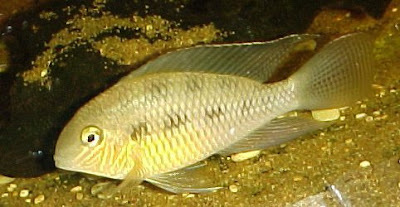 This species of Cichlid can grow up to 10cm in length. They are native to the upper Amazon and Peru this fish prefers slightly acidic, warm water. The Hercules Cichlid will eat small earthworms, small pieces of beef and regular pellet food. The male of this species is generally more colorful then the female. If you have any care tips for the Hercules Cichlid please share!